Manta rays are the largest rays in the world. There are at least two species of mantas. Manta birostris is the giant oceanic manta and Manta alfredi is the reef manta. Their appearance is similar and the range of the two species overlaps, but the giant manta is more often found on the open ocean while the reef manta visits shallower, coastal waters. Other Names: Devil ray, Giant manta, Mobula sp. Fun Fact: Mantas regularly visit reef cleaning stations to have external parasites removed. The name "manta" means mantle or cloak, which is an accurate description of the animal's form. Manta rays have triangular pectoral fins, broad heads, and gill slits on their ventral surfaces. Their horn-shaped cephalic fins have earned them the nickname "devil ray." Both species of ray have small, square teeth. The species differ in the structure of their dermal denticles, color patterns, and tooth patterns. Most mantas are black or dark-colored on top with marked "shoulders" and pale undersides. The ventral surface may have distinctive dark marks. All-black animals also occur. M. birostris has a spine near its dorsal fin, but it is incapable of stinging. M. birostris reaches 7 m (23 ft) in width, while M. alfredi reaches 5.5 m (18 ft) in width. A large manta can weight up to 1350 kg (2980 lb). Manta rays must move forward to pass oxygenated water over their gills. The fish swim basically by flapping their pectoral fins and "flying" underwater. Despite their large size, mantas frequently breach into air. The fish have one of the highest brain-to-body mass ratios and are believed to be highly intelligent. Manta rays live in the tropical and subtropical oceans around the world. They have been seen as far north as North Carolina in the United States (31°N) and as far south as New Zealand (36°S), although they only venture into temperate seas when the water temperature is at least 20 °C (68 °F). Both species are pelagic, found mainly in the open ocean. They are common in coastal waters from spring to fall. They migrate as far as 1000 km (620 mi) and occur at depths ranging from sea level down to 1000 m (3300 ft). During the day, manta rays swim near the surface. At night, they venture deeper. Manta rays are carnivorous filter feeders that prey upon zooplankton, including krill, shrimp, and crab larvae. Mantas hunt by sight and smell. A manta herds its prey by swimming around it so the current collects the plankton. Then, the ray speeds through the ball of food with a wide-open mouth. The cephalic fins channel particles into the mouth, while the gill arches collect them. Killer whales and large sharks prey upon mantas. Cookie cutter sharks, which take round "cookie-shaped" bites from their prey, can inflict potentially fatal damage. Rays are susceptible to a variety of parasites. They routinely visit reef cleaning stations for wound cleaning and ectoparasite removal. The ability of each fish to revisit cleaning stations is considered evidence manta rays construct mental maps of their surroundings. Mating occurs at different times of the year and depends on the manta's geographic location. Courtship appears to involve fish swimming in "trains," often during the full moon. During mating, the male almost always grasps the female's left pectoral fin. He then turns so the two are belly-to-belly and inserts a clasper into her cloaca. Gestation is believed to take 12 to 13 months. The egg cases hatch inside the female. Eventually, one to two pups emerge. Females usually give birth every two years. Males mature when they are younger and smaller than females. Females usually mature around 8 to 10 years of age. Mantas may live up to 50 years in the wild. Historically, manta rays were worshipped or feared. It wasn't until 1978 that divers demonstrated the animals were gentle and would interact with humans. Today, some of the best success protecting manta rays has come from ecotourism. Fishing a manta for its meat, skin, or for gill rakers for Chinese traditional medicine can earn hundred of dollars. However, each ray can bring in $1 million in tourism dollars over its lifetime. Scuba divers are most likely to encounter the great fish, but tourism in the Bahamas, Hawaii, Indonesia, Australia, Spain, and other countries makes it possible for anyone to view mantas. While the rays are not aggressive, care must be taken to avoid touching the fish because disrupting its mucous layer makes it susceptible to injury and infection. The IUCN Red List classifies both M. alfredi and M. birostris as "vulnerable with an elevated risk of extinction." 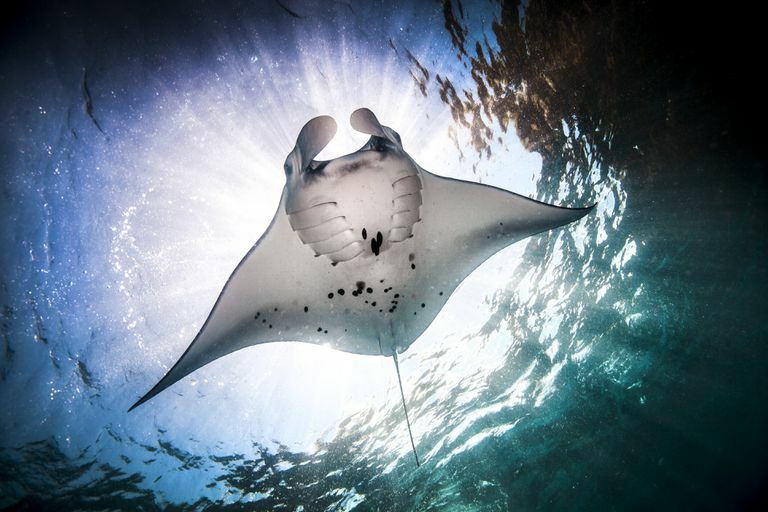 While mantas are protected by many countries, their numbers are declining because of migration through unprotected waters, overfishing, bycatch, entanglement in fishing gear, ingestion of microplastics, water pollution, boat collisions, and climate change. 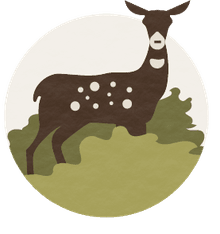 Local populations face a severe threat because there is little interaction between subpopulations. Because of the fish's low reproductive rate, it's unlikely mantas in unprotected areas can recover, particularly from overfishing. However, a few public aquariums are large enough to house manta rays. These include the Georgia Aquarium in Atlanta, the Atlantis Resort in the Bahamas, and the Okinawa Churaumi Aquarium in Japan. The aquarium in Okinawa has successfully birthed manta rays in captivity. Ebert, David A. (2003). Sharks, Rays, and Chimaeras of California. University of California Press. ISBN 978-0-520-23484-0. Parsons, Ray (2006). Sharks, Skates, and Rays of the Gulf of Mexico: A Field Guide. Univ. Press of Mississippi. ISBN 978-1-60473-766-0. Do All Stingrays Actually Sting?